Give the Gift of Go.TM With over 300 destinations and limitless adventures to choose from, the Delta Gift Card opens up a world of possibilities. 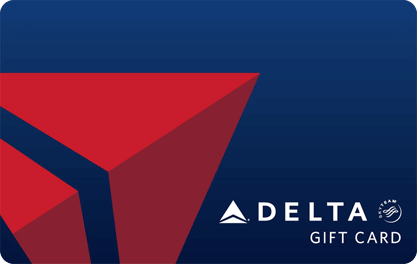 Delta Gift Cards can be used toward airfare on any Delta marketed flight through www.delta.com, at the airport, through reservations, or by phone with Delta Vacations®. Delta Gift Cards do not have any expiration dates or fees.